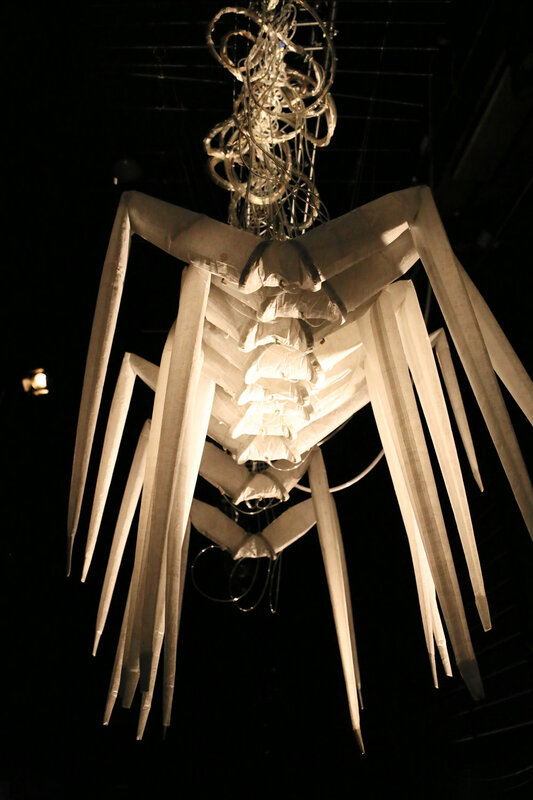 Interactive Birds is the most recent and interactive version of Sixteen Birds, the first multi-sculpture installation using Amorphic Robot Works’ Inflatable Bodies technology. Interactive Birds consists of large, white fabric shapes that recall the simplest line drawing of a bird. 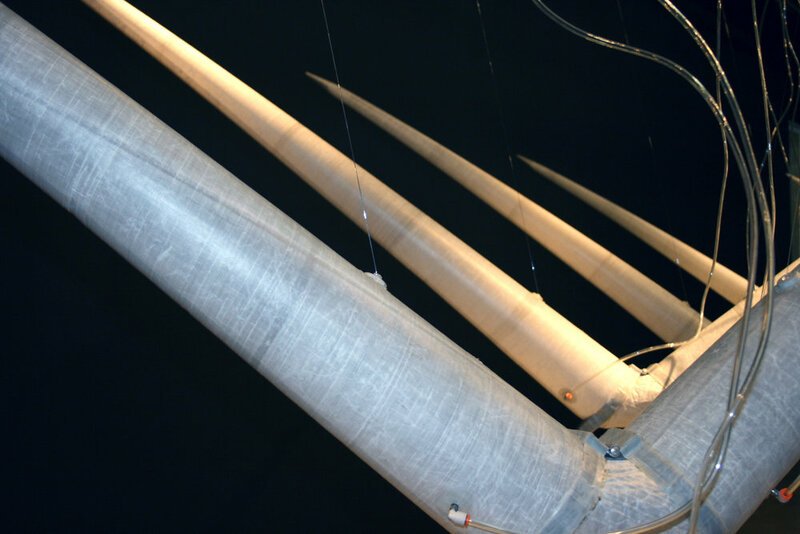 Positioned at eye-level, the tapered joined cone-shapes begin hanging limp and lifeless from the ceiling. 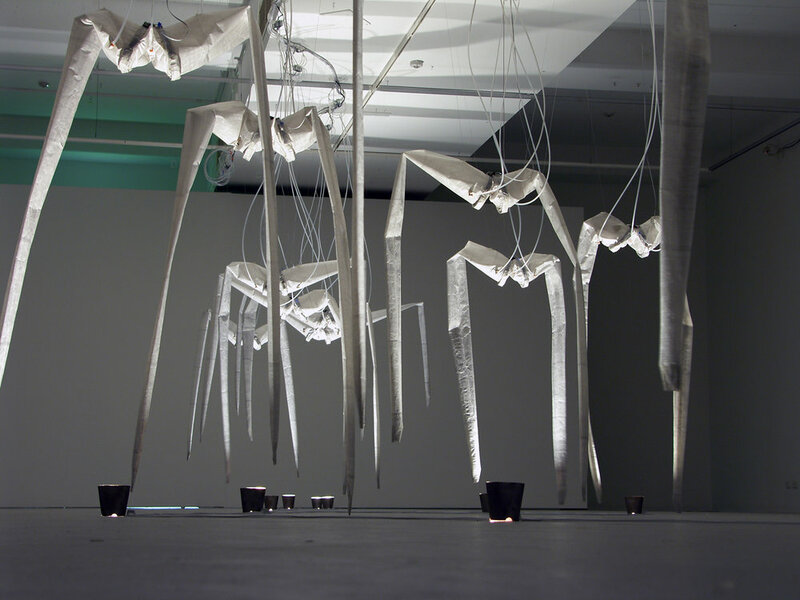 As viewers enter the room, they respond to their presence by gradually inflating with air to lengthen and take form, eventually reaching out with a graceful wingspan, robust with life. The Birds then begin their stationary journey with a slow, elegant flapping motion, all of them in a randomly generated sequence. 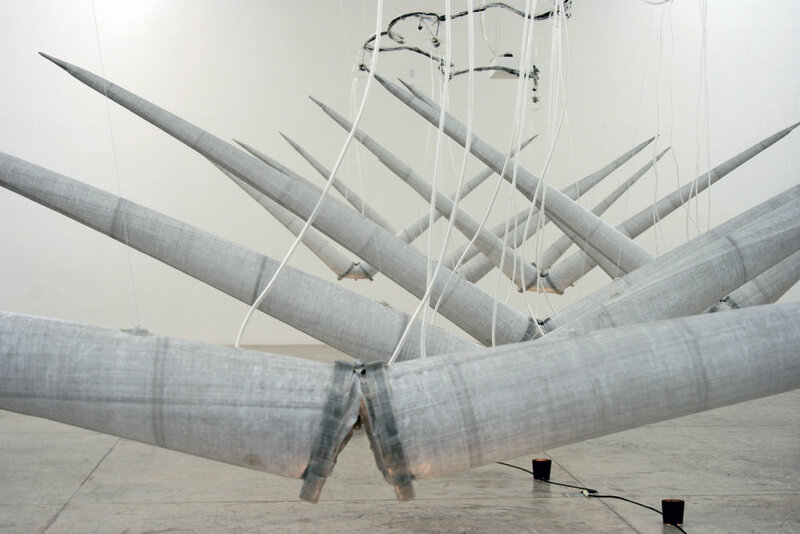 The pneumatic mechanism that animates the work creates a constant, rhythmic breathing sound. 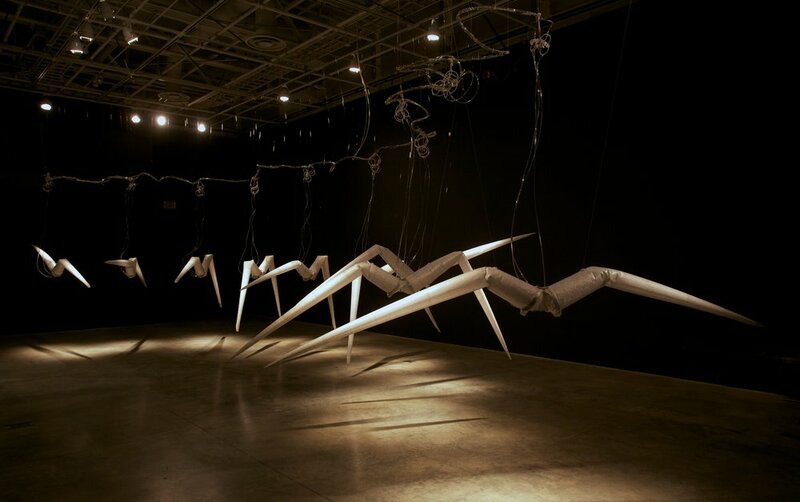 Moving through the installation allows one to find various compositions reminiscent of natural formations: compositions that change over the life cycle of the work. 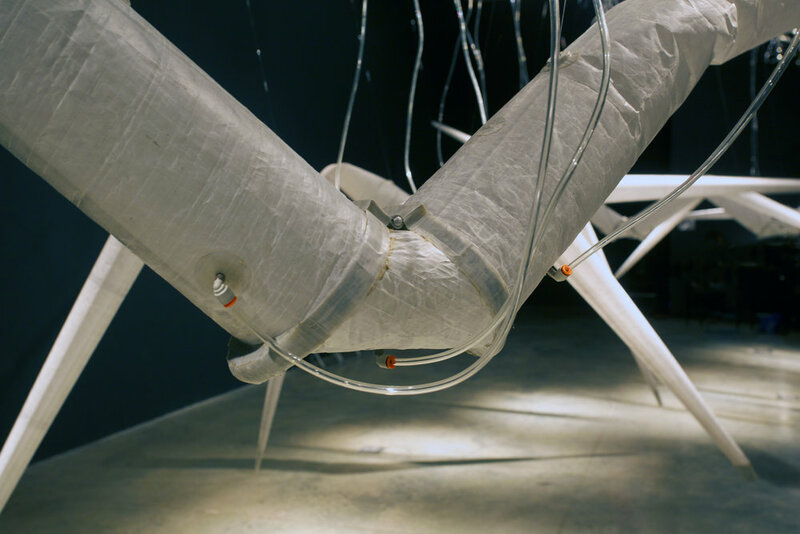 The exhibit gives responsibility to each person entering; as more humans enter the space, the Birds begin to accumulate air, filling their bodies as if human presence gives them life. The open, physically accessible nature of the installation gives the impression that visitors are free to roam within the Birds’ space, but if the viewers encroach upon their space excessively, a death cycle is triggered. Once one Bird is infected, it begins to corrupt the others’ behaviors, and soon all the Birds have prematurely ended their life cycles. If, however, the audience manages to respect the Bird’s personal space, they will have an opportunity to witness the complete performance. As in other natural organizations the viewers’ presence affects the work’s life cycle, putting pressure on the system.